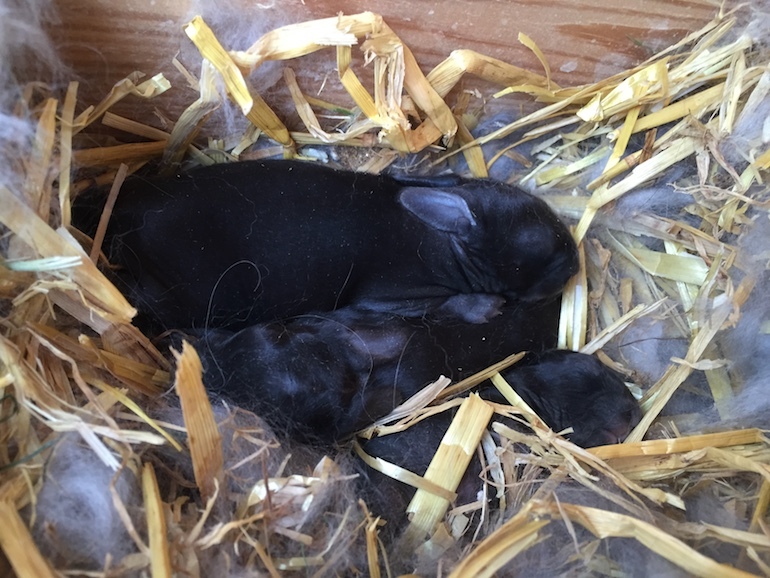 There can be problems with baby angora’s in the nest, so here is a quick post on what to look out for. Check for fur tangled around legs, or neck. This should be cut off as soon as you notice otherwise it could result in loss of a limb or death. It is important to check nests regularly, occupy the doe and have a quick look to see if warm and all moving gently. Over enthusiastic does can clean up too well and take off ear or tail of babies. Check when they appear out of the nest and see if they are damaged. Most will be ok with the damage it will heal, but they wont be showable. Posted 15/05/2018 by SM & filed under Angora Welfare.